Having an antivirus is essential for the security of our computer and our data. Nevertheless and despite having one, when it comes to analysing a specific file, we will probably never be totally sure that it doesn't contain any malware. If we find ourselves in this situation, we can resort to tools like Virus Chief. 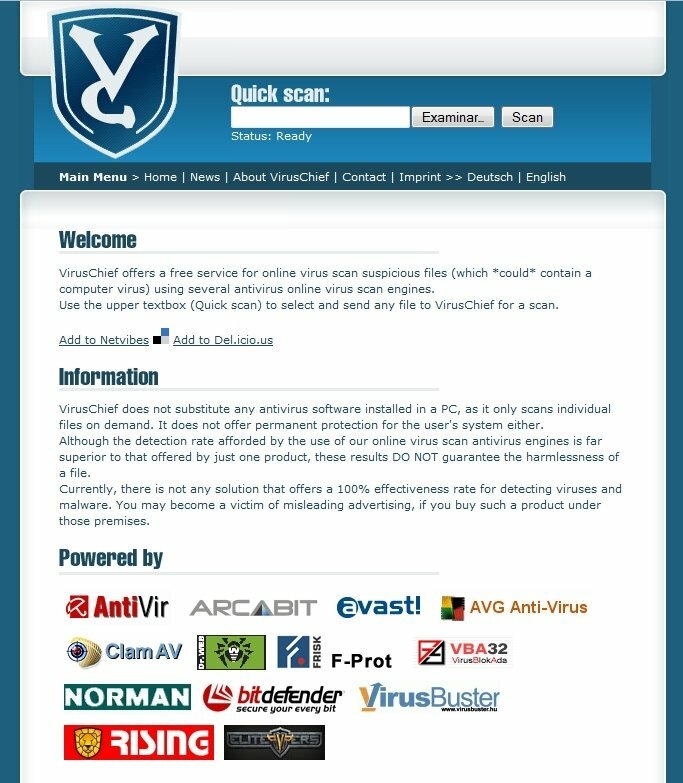 Virus Chief is a free online antivirus service maintained by some of the most important companies of the computer security sector. How it works is very simple as we will only have to choose the file from its location on our computer to subsequently scan it. In only a couple of steps we will have a complete analysis report carried out with several antivirus engines. The best way of making sure that a file doesn't contain viruses. Simple interface that makes the process easier. Use of multiple antivirus engines. Real-time updates to the virus databases. Detailed results from each engine. Backed by the leading brands in the sector, such as Avast!, Avira, AVG or Bitdefender, among others. 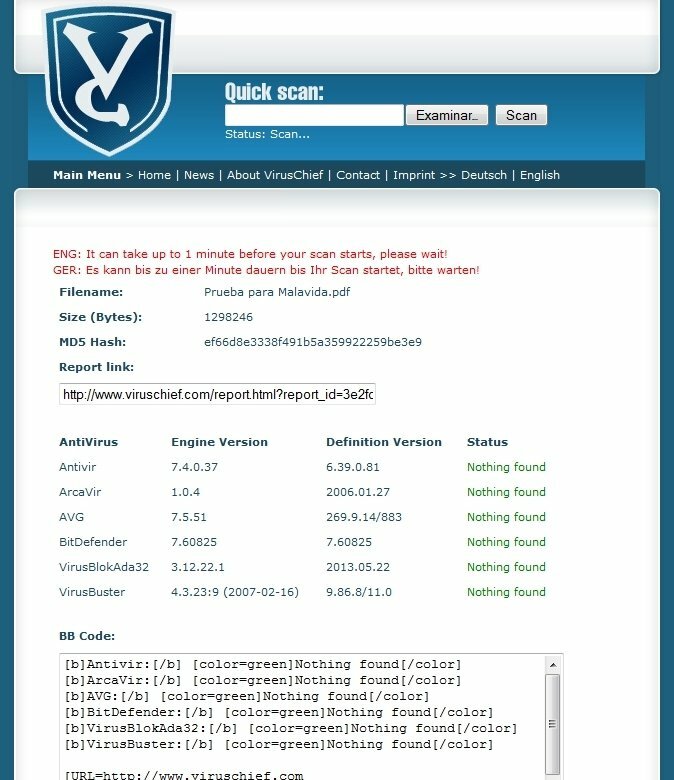 Don't lower your guard regarding viruses, trojans, worms and other malware, and scan your files online with Virus Chief. The analysis speed will depend on the file's size.